Calderland, a folk opera that celebrates the Calder Valley’s tempestuous relationship with water, was announced as winner of the Royal Philharmonic Society [RPS] Music Award for Learning and Participation last night, Wednesday 9 May. Over 50 shortlisted musicians, ensembles and organisations nationwide attended the independent awards ceremony at The Brewery in London, to celebrate ‘the outstanding, the pioneering, and the inspirational in live classical music’. 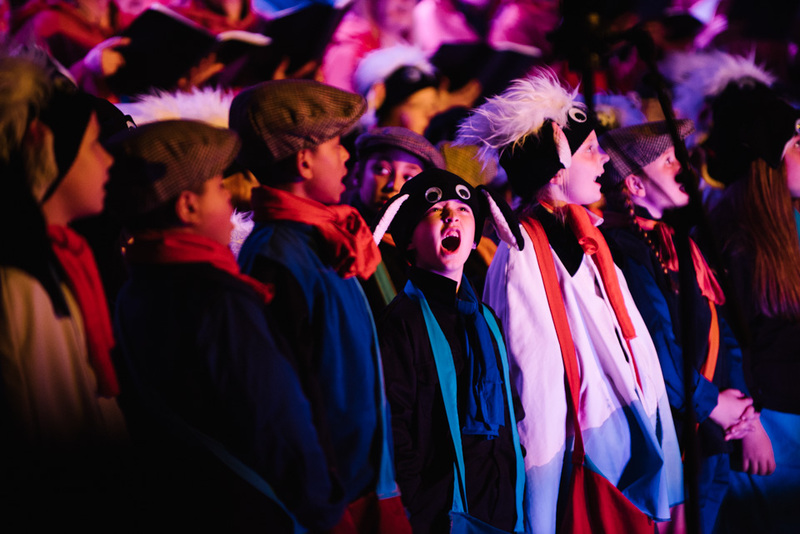 Calderland– commissioned and created by 509 Arts – was an ambitious community opera by composer Richard Taylor, librettist Mike Kenny and director Alan Dix who worked with the people of Calder Valley alongside a committed group of partners. The judges, made up of an eminent jury from the music profession,were particularly struck by the inclusive nature of the workshop and rehearsal process leading to the final performances, and by the clear evidence that the project has created an energetic musical legacy. Calderland was performed in the vast open-air piazza of Grade I listed The Piece Hall, Halifax over three consecutive evenings from 29 September – 1 October 2017. A community choir of over 150 local singers were recruited at workshops across the valleys and included four choirs from nearby primary schools, under the guidance of choir director Em Whitfield Brooks, alongside a core band of local musicians. The awards were hosted by BBC Radio 3 presenters Georgia Mannand Petroc Trelawny, with the silver lyre trophies presented to winners by Judith Weir, Master of the Queen’s Music. The annual RPS Music Awards are the highest recognition for live classical music in the UK. Awards, in thirteen categories, are decided by independent panels consisting of some of the music industry’s most distinguished practitioners. The awards honour musicians, composers, writers, broadcasters and inspirational arts organisations.